The Consorzio di Tutela del Soave represents almost 3,000 estates spread over 7,000 hectares in northern Italy, encompassing the Soave DOC and DOCG appellations. Its members produce more than 50 million bottles per year and 80% of its wine is exported. The consorzio recognises that the global wine market is becoming increasingly challenging due to improvements in quality among emerging New World regions. It is determined to maintain its market share in the 70 different countries it exports to, but to do so it needs its members to be armed with a better understanding of the competition. The region's winemakers freely admit that Italian producers have traditionally tended to be somewhat insular when it comes to wine knowledge as the focus has been on domestic production and consumption. The consorzio is now mobilising to increase its collective knowledge about the different regions, grapes and styles around the globe so that it can place Soave wines in a quality context against the significant wines of the world and use this in its sales pitch. "The wine market has completely changed in the last 10 years and has become a lot more competitive as new regions with a high level of quality emerge," says Chiara Mattiello of the Consorzio di Tutela del Soave. "Consumers are becoming more curious and palates are changing. It is challenging for historical wine regions like Soave to maintain and safeguard their market share around the world, and a strong knowledge of the world of wine helps our members overcome these challenges." The consorzio met with WSET at Vinitaly and identified it as the best partner to provide its members with the international wine knowledge they needed. "WSET is the most important international wine program for professionals and provides an unrivalled level of professional education," says Mattiello. A WSET Level 2 Award in Wines and Spirits course was delivered at the consorzio’s facilities in November 2017 and the first students – a mix of winemakers, export managers, marketing managers and owners – all passed. A second Level 2 and a Level 3 Award in Wines are planned for early 2018, and the consorzio has a view to enrolling up to 200 members on WSET courses. 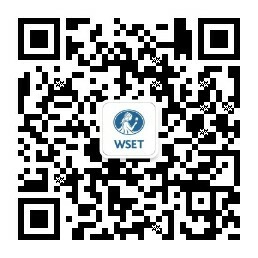 WSET qualifications have always been sought-after in leading import markets, like the UK, the US, China, and Canada. Importers and consumers in those countries have access to a huge range of wines from across the world and are always looking for the best quality. Exporters and producers from major winemaking regions need to be part of this conversation. Understanding international context, where their wines will sit in local markets, and how to communicate with their audience are all crucial skills for those looking to export. "With this knowledge, their teams are better prepared to work with buyers and importers, run in-market activities, and connect with winery visitors," says WSET's international development advisor, Joseph Hallam. The consorzio believes its members now have a stronger understanding of rival regions and are more determined than ever to meet the challenges head on. The consorzio also believes this level of education will allow it so safeguard its market share, sell at higher price points, and improve its global reputation. The students that went on the first course were full of praise for the educators and the broad knowledge they gained. "My job needs a constant update since everything changes so fast, markets are challenging, and customers are every demanding. Education in our business is very important. I really love the way we worked, the focus on grapes that varies according to different climates, winemaking techniques, and soil. I would definitely recommend others in the wine trade go on this course. The educator was very professional and the class was very good. We tasted nice wines and surely what I learned will remain a good reference to me." "I find most beneficial the studying of wine regions all over the world and the tasting, as this helped me to understand what kind of wines people drink outside my cellar and outside Italy. Another good thing is to improve knowledge of English words use in the wine business. This course will help me discuss wines from all over the world and to understand the right way to sell my Soave wines. It's a great course that allows you to learn about and taste something different, especially for Italian winemakers that usually drink only Italian wines." Knowledge of other regions help our members improve their quality and their ability to sell their wines.